Kanon Organic Vodka, 40% alc./vol. Those other vodkas have been toting for some time now that multiple distillation means quality, luxury or better taste. At Kanon, we use pure ingredients that only need to be distilled once. Everything we put in our vodka is organic and locally sourced, from our wheat, to the water we get from our own artesian aquifer. distilled from organic wheat. Enjoy kanon responsively. 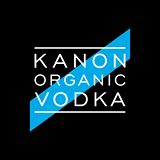 Kanon Organic Vodka, 40% alc./vol. Want updates on Kanon Vodka? Yes, sign me up for Kanon Vodka updates!